Can you buy an awesome kids drone without breaking the bank? This means that you don’t have to break the bank if you want to get your children interested in drone technology, or in reality just technology in general. Also, using mini-drones or other drones aimed at children and youngsters is a great way of encouraging young ones to take an interest in filming and modern technology in general. You can never just what your kids want to do in the future, so every little bit of experience counts. For sure, if you get them interested in such fun technology as drones and aerial photography, you’ll be doing them a favour. Let’s talk about some of the top drones for kids, children and youngsters. Perhaps your child is growing more fascinated by drones every day, and just maybe you are looking for the next perfect birthday present. You’ve definitely made the right choice, as drones are a great gift to give your young ones. You will see them play with it at every opportunity they get. This gives your child plenty hours of both indoor and outdoor fun not just for your kid, but even for you. Mini-drones are ideal for kids, because they are basic, and cover all of the features that a child would find appealing – whilst being affordable. You wouldn’t want to get them an expensive drone only to see them the drone crash and burn (tragically for your pocket). We write all sorts of news and reviews for drones. Have a look at our homepage for our top content. Recommended Reading: Which Are the 5 Best Drone Kits from Amazon (2019)? What should you look for in a good kids drone? Whether you go for a one or the other is mostly a matter of preference but there is one thing which is typically important to consider. Drones with a remote controller typically have a longer range of flight. This is because, most smartphone-controlled drones use Wifi technology to power the connection between the smartphone and the drone, which, by definition is limited in range. On the other hand, drones with a remote control, typically use radio signals, which offer a better, longer range, which is less likely to encounter interference with other wifi-networks. You’ll find that remote-controlled drones tend to also be smartphone-integrated. Also, remote-controlled drones tend to be slightly more expensive than drones which do not requires a controller. A factor which should also influence your decision when it comes to making a drone purchase is the control range of the drone. This is also a factor of the controller (just like we have discussed in the previous section). Drones with no external controller, tend to be limited in range, whilst drones with their own controller, are bound to have a better range. The control range also typically has a bearing on the age of the kid. If you’re buying a drone or quadcopter for older children with more responsibility, an extended drone range would be ideal such that they are not severely restricted. On the other hand, allowing a younger kid to pilot a longer range drone, is a bad idea. In these cases, opt for a drone with a shorter flight-range. Another important consideration when comparing kids drones will be the availability or not of a camera. Most drones these days will have a camera built-in, but there are still some drones which do not have a camera. The latter tend to be quite cheap, yet we do feel that quite a lot of the functionality and usefulness of the quadcopter is diminished if no camera is available with. Even when considering drones with a camera, there are various qualities a camera can have. Just like the quality of a camera on a smartphone would differ, the quality of a camera on a drone will differ significantly too. If you’re only considering the drone as a toy for your kid, the quality of the camera won’t be very important. However, if you’re looking to buy a drone for a teenager, the likelihood is that they will be looking for a quadcopter drone with a decent camera, since they are more likely to be sharing the pictures they take with the drone on their social networks, with their Facebook or Instagram friends. This is another important factor to take into consideration when buying a drone or quadcopter for kids. This is actually quite significant, because although the price of the drone might look attractive, it’s going to be quite annoying if you discover that the drone has a very short flight-time. The cheaper drones are going to have a flight-time of less than 10 minutes, even going down to 5-7minutes for the cheapest models. Quadcopters of higher-quality and price will typically have flight-times of 15 minutes or more, with the high-end drones, going up to 30 minutes. If your kid is used to using an RC car with a battery life of 20 to 30 minutes, they’re going to be fairly disappointed to find that the drone battery drains in a few minutes. Note: for drones and quadcopters with a shorter flight-time, it is highly recommended to look for drones with exchangeable batteries. This allows you to buy multiple batteries such that you can extend the flight-time by replacing the batteries. Taking the cue from our last note, another factor which is important to consider when buying a drone for kids, is whether the drone has a fixed battery or an exchangeable battery. There is a very simple reason behind this logic. If your drone has a removable battery, you will be able to buy multiple batteries and changes them as soon as one drains, thus extending the fun/flight-time of your drone. On the other hand, if the battery of the quadcopter or drones is fixed, as soon as the battery on the drone drains, your flight (and fun) is over. This reduces significantly the attractiveness of the drone for your kid. Given that we are on the subject of flight-time, battery-life and whether a battery is removable or not, another factor which should influence your decision is how long the quadcopter or drones takes to recharge its batteries. Significantly, one should also note whether the battery is charged directly on the drone itself, or whether this can be charged on a separate charging station or not (fixed vs removable). Charging times for batteries can range anywhere from 45 minutes to a couple of hours. Just like we’ve noted before, this taken into consideration with the flight-time of the drone and whether the battery is removable or not, will make a very significant difference to how long you can enjoy using the drone. Just like with most kid’s games, you’ll find that drones come with recommendations of the ages which the child flying the drone should be. For example, somebody in their late teens can understand that a drone such as the Mavic Pro, the Spark or the Phantom is not simply a toy. It’s a gadget which can be used for recreational purposes, but its use may have consequences. Anything from crashing the drone being an expensive affair, to privacy and safety issues concerning the use of a drone. These are of course completely lost on kids which are younger than 10 years, or even younger. That doesn’t mean that you shouldn’t buy them a drone. You should opt for a drone which is more adapted to their age. For example, there are drones whose parts are very easily replaceable. There are drones which are practically indestructible in most kid’s hands. There are even waterproof drones if you live in an area surrounded by water, or where water is prevalent. Drones and quadcopters come in all shapes and sizes. Whilst some drones can be literally folded and put in your pocket, others get bulky and need specific cases to be carried around. There are nano and micro-drones, which are tiny, mini-drones which typically fit in your palm, and then drones which keep getting larger and larger in terms of their size. 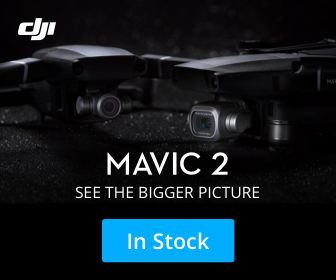 Even such companies as DJI have drones which start with Spark (mini-drone), the Mavic (small, portable drone), the Phantom (relatively large drone) and the other drones such as the Inspire and Matrice series. If your kid is likely to get very attached to their toys and would want to carry it around anywhere they go, you might want to consider a drone which is smallish in size. If the kids’ drones will be mostly used at home, you don’t have to limit yourself to the size of the drone. In terms of portability, one needs to also consider the actual weight of the drone. Whilst smaller drones tend to be light in weight, the more advanced drones such as the Phantom are much heavier. Again, a consideration to keep in mind, if your kid is likely to carry their drone or quadcopter around whenever you got on a trip where space is more limited. We have compiled a list that takes into consideration the price and quality of the drone. You want a drone that is affordable, but you don’t want one that works for only a few weeks or can’t take a couple of hits (because you know just how kids are). Also, you don’t want one that is high quality but too expensive for a child to play with. Take a look at some of the best drones for kids on the market this 2017! If you are looking for a great drone for your kids, then the SYMA is definitely a good option. SYMA have gained a lot of popularity in recent years because of their quality in every piece of drone technology they produce. It is also one of the best drones that you can get for someone who is a beginner in drones. Their more commercial units, which are the X5 and X8 are very popular on the market, but this edition is one that your kids would appreciate. It is a child-friendly drone and it is very easy to get started with this quadcopter. As you can see from the picture above, the Syma X11C kid-friendly drone comes with propeller guards by default. Prop-guards are a must-have for kids who are flying their very first drone. The guards ensure that neither the drone, nor anything else which is hit by the drone is damaged – including, other people! This unit comes with its own built-in 2MP camera of 2MP. The camera is not ultraHD like you would see on modern drones today, but it is definitely something that your kid would appreciate. It saves all files that are recorded on a MicroSD card that is 4GB. The 6 axis stabilization gimbal system creates a stable flight, and your kid can control it from 100 meters away. The battery life can also support up to 7 minutes flight-time, depending on how you use the camera. This is an emerging drone on the children’s market. It has become a bestseller on Amazon in 2017 because of the sleek design and technology used in creating this drone. It is simple to use and easy to understand, allowing your child to have the best possible experience. This children’s drone comes with a headless security system, that allows people with any level of training to fly the drone seamlessly. This is a useful feature so that your kid doesn’t crash the drone the first few times of using it and cause damage to it. It makes use of a 2.4Ghz system that has minimal interference. The 6 axis gyro system of this drone provides very stable flight, and would provide very still images. It is also windproof, and can be controlled from up to 50 meters away. This is one of the great drones for children on the market with a flight time of 8 minutes. It takes about an hour to get fully charged. This is another drone for kids that has developed a lot of relevance on the market recently. You shouldn’t be surprised to see this drone dominate your searches for kid’s drones on amazon. It comes with an Ultra bright LED that looks great in the daytime and even better at night. This is the ultimate play toy drone for your kids when it gets dark. Apart from just the LED and the appearance, it also comes with a bag of tricks like the 360 spin at just the touch of a button. This drone was designed to give kids the ultimate experience. It comes with an ultra-fast feature. This allows the drone to zip through the sky at unbelievable speeds (at least for such a small drone). It is also a drone that appeals to both boys and girls because of its unisex colour scheme. It is amazing for all beginners and children that are just beginning the use of drones. It can last for 9 minutes in flight, and comes with a bonus battery that would double the playtime. Cheerson is another company that has a good reputation when it comes to drone production. You may have heard about their more popular drones like the CX-20, but this is a lot more affordable and appealing to kids than that specific drone edition. Its design features a simple and compact build that hinges on durability. Kids are naturally playful, so the design brings into consideration extra strength. This quadcopter comes at an amazing price that is suitable as a children’s toy drone. The camera is 0.3MP, but don’t be deceived by this, as the camera delivers surprisingly great quality. The camera quality is greater than a lot of $50 drones, so you shouldn’t be alarmed just yet. The control distance is 20 meters, but it is very handy and gives you a very smooth flight. All of the recorded files are saved on a MicroSD card, which can be connected to your computer to take out the files. If you are looking for a low budget and handy drone for your kids, then this is definitely one to consider. If the damage or durability is your major concern when getting a drone for your kids, then this is one of the best units for you to consider. Children are naturally a tad careless, so you don’t want to buy a drone that is too delicate, as it may get damaged within just a few days. This particular RC drone is crash proof, ensuring that you don’t have to worry about it getting damaged. It comes with a remote controller and 2 batteries so your kids can charge one while the drone is flying with another. The blades are also replaceable. The control distance of this drone is 50 meters, which would give your kids ample room to play around with the drone. It is easy to use for every beginner, and the bright orange design is one that would see your kid’s faces filled with awe. It comes with a 6 axis stabilization system for a safe flight, and the camera is very clear. It can also be used for indoor flying. RC Drone with 2MP Camera(1280x720 Pixel),4 Kind of Sensitivity Modes for any level of player,Let you can change another wany keep happy at your side. One Button to Return:Never get lost,Compass mode fused with the "one button to return" orientation mode will alow you to control the drone to fly safely to places even beyond your visiomn and return with a press of a button. The RC quadcopter uses the 2.4GHz remote control technology, adopts the 2.4GHz remote control technology, and the operations become more accurate, the remote control distances become farther, the reactions become more sensitive. If your kid is below the age of 10, you probably need a drone for kids that is not very expensive, and easy to operate. This makes the SYMA X1 the basic drone for your kids within that age group. It comes with a controller that incorporates a basic 3 way movement system. Up or down, left or right and forward or backward. This easy control system enables your kids who are under the age of 10 to have a fun time while playing with the drone. There are two different fly modes, including an indoor flight mode and an outdoor mode. It comes with a 360 spin function, which your kids would find very fun to play with. It has a 3 axis stabilization system that makes use of gyro technology in order to give your kids a safe flight. The camera quality is also quite clear for kids of that age, and the 2.4GHz radio system would stop all forms of interruption. Stabilty and agility in flight simplify professional 3D maneuvers like pirouettes 3D fun flips,rolls,and more. If your kid is between the ages of 10 to 14 years old, then you need a kids drone that is easy to use, durable and still fun. It comes with a number of fun, easy to understand features that would see your kid have a great time. This drone is controlled with a remote control that is simplified. It has an auto orientation system, so it would not crash easily just in case your kid is still getting the grips of flying. It allows your child to perform simple functions like take-off, landing, 360 spins and lots more. It also has some speed settings that are built in, which give the drone more maneuverability and control. The flight time on this drone is 10 minutes from just a single charge. It also has a standard 6 axis system that enables the drone to remain stable during flight. It comes with a USB charging cable, which means you don’t have to go out to buy accessories. This drone is controlled with a remote control that is simplified. It has an auto orientation system, so it would not crash easily just in case your kid is still getting the grips of flying. It allows your child to perform simple functions like take-off, landing, 360 spins and lots more. It also has some speed settings that are built in, which give the drone more maneuverability and control. The flight time on this drone is 10 minutes from just a single charge. It also has a standard 6 axis system that enables the drone to remain stable during flight. It comes with a USB charging cable, which means you don’t have to go out to buy accessories. It allows your child to perform simple functions like take-off, landing, 360 spins and lots more. It also has some speed settings that are built in, which give the drone more maneuverability and control. The flight time on this drone is 10 minutes from just a single charge. It also has a standard 6 axis system that enables the drone to remain stable during flight. It comes with a USB charging cable, which means you don’t have to go out to buy accessories. Easy to use - With a kid-friendly design (age 14+) and an easy to use remote, our quad drone is great for novice pilots Auto-orientation and 1-button controls allow you to take-off, land and perform 360-degree flips, while built-in speed settings offer maneuverability and control. 30% Longer flights - Premium rechargeable LiPo battery helps drone flies up to 10 minutes on a single charge! Paired with a 6-axis stabilization system and an altitude hold function, you can glide, race and soar through the air while maintaining safe, stable flight. Complete Kit - For no-hassle flights, each drone copter comes with everything you need! You'll receive a USB charging cable, landing gear and 4 propeller guards as well as 4 spare propeller blades. For added convenience, no FAA registration is required in USA. It is designed to look like a professional drone, but comes at an affordable price, and is still very suitable for children. It comes with a li-poly battery that is suitable for flying the unit inside and outside the house. The standard flight time of the unit is 10 minutes, and it can get fully charged in less than an hour. It comes with a 360-degree spin function, and a 2.4GHz control system. It also used the standard 6 axis gyro stabilization technology that would ensure you get a safe flight. The camera is also in HD quality, ensuring that your kids get the best footage. It also comes with a light that allows for night time flying. It also comes with a light that allows for night time flying. This is the most expensive drone on the market currently that is still within child-friendly parameters. 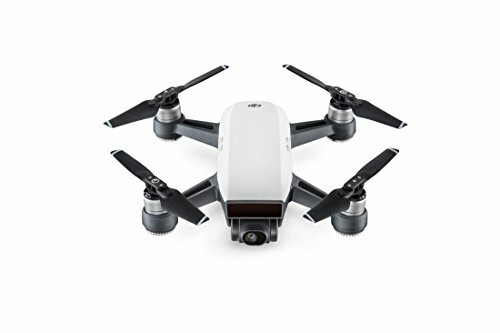 It comes with an HD camera that can capture pristine aerial footage and deliver up to 720HD pictures. It also comes with a headless mode, which allows for an easy flight and better control even when your kid is just getting the grip of the drone. It has the basic 6 axis gyro stabilization technology, which enables for easy handling and can allow your kid to perform 360 degree flips. It is fun and easy to operate because of its quad design. It also comes with a bonus battery, which allows your kids to fly the drone while another battery is still charging. 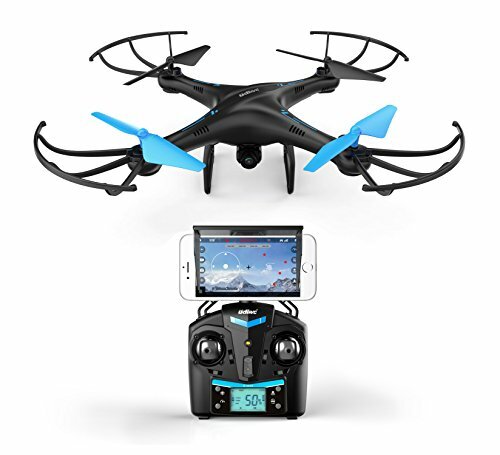 ● AMAZING FLIGHT CONTROL: Equipped with a 6-axis gyro stabilizing system, headless & auto return mode, and 360-degree flip capability, this rc quadcopter with camera is a joy to pilot. ● CAPTURE EVERY MOMENT: We've fitted a 2MP HD quadcopter camera on the remote control drones for crystal clear recording, complemented by a 4GB SD card and card reader. ● EXPERIENCE NO INTERFERENCE: The transmitter of this quadcopter with hd camera features 2.4GHZ technology, significantly reducing interference from other flying quadcopters. If you are looking for a very affordable drone, then this is the most affordable on our list. At just $15 bucks or thereabouts, it’s the cheapest drone for kids. It comes with a ready pack and a remote control that allows for easy control. 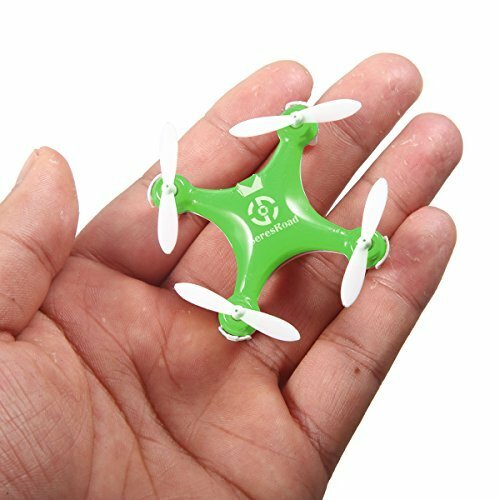 This drone is very small insize, but has a lot of power. It is very enjoyable to play with. It is just 2 inches, and it comes with three different flight modes that your kids would absolutely enjoy. You can also adjust the drone according to a particular skill level, which makes it suitable for different age groups. It is also capable of performing 360 flips, and it comes with LED lights for navigation when it is night time. This cheapest drone for kids can also be stored inside the controller, which is very handy and makes your kid’s room tidy. It makes use of a non-interfering radio control system. It can also be charged within minutes, increasing your kid’s playtime. So, have we convinced you to buy a drone for kids? Whether it’s for their birthday, Christmas or just because they deserve a gift, the above quadcopter drones for kids will keep your kid amused for a very long time! This entry was posted in Drones, Featured. Bookmark the permalink. Why are some drones more expensive than others?